10 Judgement for your food! grain size/texture: it affects your feeling on your tongue. colour: the color of food may give idea for freshness and the antioxidants in your food. How to Enjoy your Hyggefisk ! Few foods have captured the luxury market quite like caviar. Due to caviar scarcity, it is not very common in the markets at all, even the caviar has itself cholesterol. Caviar that comes from fish farms may have antibiotics and wild ones may have heavy metals inside. At that point, Hyggefisk is really clear and better solution. With that in mind, the complete guide on how to buy and eat your Hyggefisk. Let’s have a look at delicious steps! Step 1. Know what you’re eating. Learn what caviar is so that eating caviar will be less daunting. However caviar is the eggs of a female fish, traditionally coming from sturgeon, and today so-called-caviar is made from salmon and the American paddlefish; there is more affordable special product: Hyggefisk. It is not caviar-like, it is beyond the caviar. Step 2. Serve it cold. Hyggefisk should be served chilled and never at room temperature. Eat caviar after it’s been thoroughly chilled and serve it cold or even in a dish of ice to keep its temperature down. Step 3. Use the right utensils. Hyggefisk should never be served on steel or stainless steel plates or forks, as this can change the taste and make it bitter or metallic. Eat and serve caviar with utensils of ceramic, glass or plastic to preserve the taste. Step 4. Try several kinds. Hyggefisk has 3 types: Black, Red and Gold, that is all just for now. They tastes slightly different. Try different types of Hyggefisk to find one that suits your personal plate. Step 5. Take small bites. Hyggefisk should be served and consumed in amounts smaller than a tablespoon.If you’re just learning to eat it, small bites will help you experience the flavor more completely without becoming overwhelmed by the flavor or texture. Step 6. Eat it with crackers. Hyggefisk is may be served on unsalted crackers or bread, or on small traditional Russian pancakes called blini. Eating Hyggefisk with these accompaniments will enhance the flavor. Step 8. Consume or serve the entire container. If you have Hyggefisk in small containers, it means for one serving. Eat or serve a container and don’t save any that is left over. Saving opened Hyggefisk will change its taste and will cause it to spoil quickly. We recommend larger containers for many servings in such as ceremonies, cocktails, parties and organizations. Step 9. Use it as an appetizer. Normally caviar is meant to be consumed as an appetizer or garnish accompaniment to a larger meal, not the main course. Keep this in mind when eating or serving Hyggefisk, you may have a whole meal out of it, would be more cheapper than caviar and there would be no negative affect for your health. Step 10. Taste wellness, More experience. On the basis of your health complaints, all potential factors such as nutrition and sleeping habits, stress and individual problems can be effective. In this sense, as an individual it is very important that you can look at your health as a whole and show a holistic approach. The Holistic approach sees man as a whole of soul-body-mind. These three components can not be separated from each other, can not be broken apart. What makes us us, and what makes us live a healthy and happy life, is to purify the three from harmful effects and toxins and feed them in harmony with our nature. 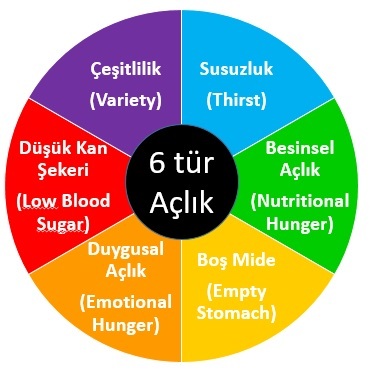 Those fed this way will have the ideal body mass, they will get better, they will not get sick due to the immune system, and they will recover faster in their existing diseases. According to the holistic approach in medical science, our malaise is not only in physical sense whether our body is diseased, but also in our psychological, emotional, social and environmental conditions. Know that being healthy is not non-sickness. In this sense it is important to recognize your body. Depending on your awareness of the condition of your body, your soul and your mind, it is important to identify what your body needs. Your health is not just about food; however it is actually a combination of you, your circle, your way of life, your preferences, the way your body works. The wellness program is not intended for weight loss. The goal of the program is to teach you how to eat properly, how to cook with more accurate teachings, to encourage sports or to increase your mobility, to improve your sleep and your social life balance and to rebuild your habits. The treatment plan may include medications to alleviate symptoms, as well as lifestyle changes to prevent headaches. In other words, it takes into account the holistic medical indications and at the same time finds the underlying causes of these indications. So the story behind the emulation that explains the reason of the illness is sought. Although Holistic treatment forms the basis of traditional treatments of alternative medicine practitioners, contrary to common belief, holistic treatment is not only alternative treatment. 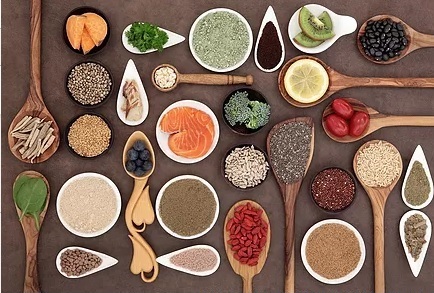 Food does not only provide the energy needed in our daily lives, it also provides the necessary nutrients to build and defeat body tissue, bone, muscle, fat and blood. Fresh nutrients are necessary to produce the necessary substances in the chemical processes that occur millions of times in our bodies. Avoid Sugar Trap: Follow us for sharing about “Hidden Sugar Trap in Foods”! Avoid from Hidden Chemicals in Foods: Follow us to follow our article on foods that contain natural expression (eg natural sweetener), “Hidden Ingredients in Foods” and “Processed Products”! Beware of Seasonal Nutrition: Follow us to review our research file, which contains misleading information about “Daily Food Intake Quantity (RDA)”. “Lose weight is not always healthy (Beyond Calorie Counting)” follow our post. Feed your body with high-quality food, not with calories: Your body does not actually become hungry because of the calories, but the body feels hungry because of missing macro nutrients and micro nutrients that your body needs. By taking the right nutrients to your body, you can manage both your physical body and your emotional body. It is known that miscarriage is caused by mental illnesses (depression, anxiety, stress) as it is caused by physical diseases (heart, cancer etc). Follow us to review our research file “second brain intestine and microbiom” .